And so we “gamed” it, played with uncertainty and had a little bit of everything! Creative and experiential questioning, futures thinking and landscape, Schwartz scenario archetypes and causal layered analysis. For two days, the University Center for Research and Development (UCRD) introduced a number of futures research methods, discussed digital research, deconstructed some topics and their alternative futures. The end was to generate and reflect on some themes that emerged in the workshop and discussed in the open space some plausible options to transform Northwestern University research. Some indigenous “futures” concepts such as “masakbayan”, “kinabukasan” , etc. were discussed and assessed researchers learning styles and research paradigms with culture, social transformation, the internationalization of local knowledge and digitization in mind. 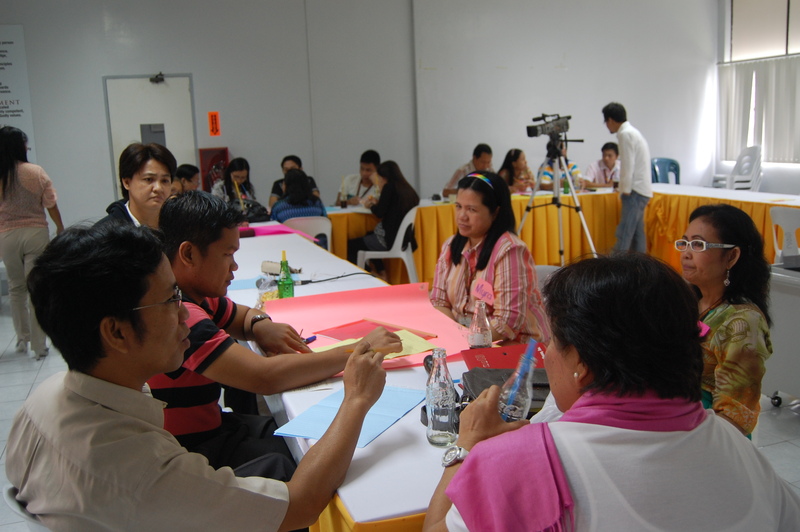 Around 35 participants listed by the University Center for Research Development of Northwestern University (UCRD), officers and staff of UCRD and the RCEIAD attended the gaming research workshop facilitated by Shermon Cruz, Romelene Pacis and Karl Lenin Benigno. Experiential questioning is a method that we’ve been working on recently to help researchers design self-actualizing research questions and engaged them to contribute more to their field of interests. Groups were encouraged to reflect and share their experiences and to ask open and reflective questions like why? and how? on preferred themes and topics. Experiential questioning aims to make research more grounded, action-oriented and responsive to cultural, local and global contexts. The workshop applied action learning foresight to facilitate a more reflective, inclusive, creative and interactive research event for Northwestern University. We had participants share their experiences and insights to re-perceive research in a variety of context – community, cultural, local and global. Participants suggested and discussed some Monday morning questions such as research incentives, quantity and quality of research workforce, funding, expanding the research agenda, research output, journal writing, exploring social media tools for foresight research, etc. 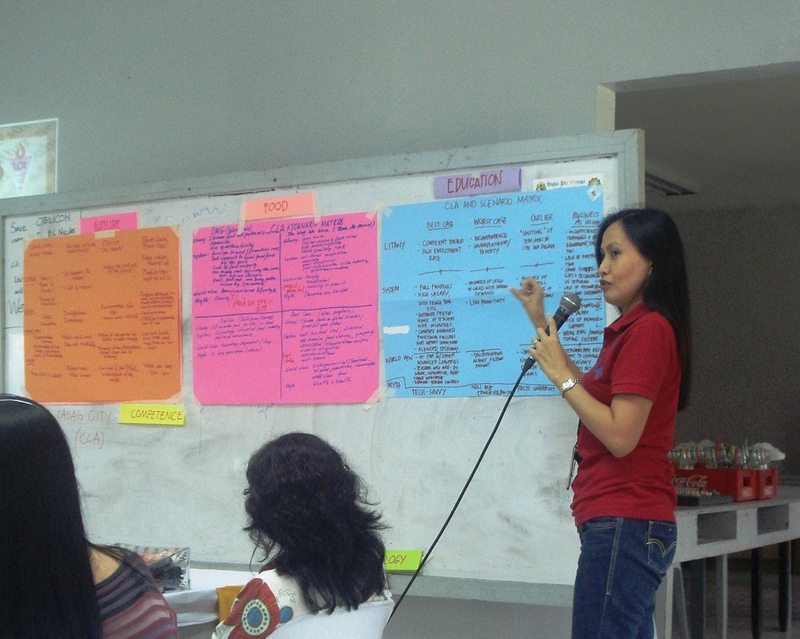 during the open space. We opted to test our concept and sought to make sense of EQ’s four essential elements – intuition, logic, evidence and reputation in research. 1. Intuition – we learn from our experiences and we have to learn how to trust the small voice, the inner wisdom inside us. Listen to your gut and our Aha! moment should guide us. The inner journey of the researcher and his experience of research is as important as any research method, data gathering methods, etc. The self immersed in research can be transformative. Does this question excites us? What’s your gut feel about this question? Is there a sensation of wonderment? Amazement? Are you amazed by the question? Is there a mystical feeling in that question? Is it moving? Is it transforming? 2. Logic – we think therefore we are. Idea and proof as well as grammar and reasoning must be crucial to our line of thinking as learning beings. We are hardwired to be logical (abductive, deductive or inductive). We infer, observe, hypothesize, gather and seek to explain relevant evidence. We have to define our problems as clearly as possible. Can we apply systematic reasoning here? Are our assumptions valid and critical enough to generate new questions and insights? Are they rooted in the local, cultural, global, local and environmental, organizational, personal, etc.? 3. Evidence – Our evidence should be consistent with our assertion. In our case, evidences are closely tied with epistemology especially in qualitative, normative, exploratory, philosophical or theoretical research. Big data, trend analysis, emerging issue analysis, horizon scanning are some tools and methods used by forecasters to analyze future trajectories. New lines of thought on futuring such as evidence-based futures research developed by Aleriza Hajazi among others were recently introduced . While the end of futures research is to probe by asking the question what is our preferred future? why is this our preferred future? is this really plausible? why? how can we achieve our preferred future? futures research, like quantitative research, uses and includes diverse data sets to produce a near accurate understanding of potentialities. Hejazi (2013) also notes medical research and medical researchers can give futures researchers new insights on how evidence-based futures research could be translated or modified to foresight practice. Big data could change the way we anticipate and/or forecast the future. Are our assumptions verifiable? Are our questions researchable? Does it lead to innovation? Can it help us reorder or re-conceptualize knowledge? Does it have the potential to create new knowledge and reframe meanings? 4. Reputation – is a meta-belief about the integrity of a person, institution or in our case the integrity of a researcher or his/her research. Reputation could come in the form of a recommendation or acknowledgement by or of a peer, community, other groups and institution outside our sphere of influence, etc. Reputation could also mean as to how the “others know and perceive us” as persons, as researchers. Reputation may be shared by a multitude of agents and it can be epistemic, pragmatic-strategic and memetic. Questions such as are we mindful of the questions that we’ve been asking? Does the question allow us to create new spaces for learning, to grow, to be happy, to be contemplative, to be reflective, to be human and share our humanity? Does it help us cultivate our reputation? Does it help us cultivate reputational solidity, integrity, and scholarship? Experiential Questioning (EQ) is a first hand experience. EQ based questions is a reflection, expression of the self or selves that is trying to create, re-create and expand itself. The impact could be cognitive, affective, spiritual, etc. To paraphrase Richard Slaughter here it is the “very sense of self” that is responding and inquiring. And so we explored together and utilized the futures landscape, causal layered analysis and Schwartz scenario archetype to explore new opportunities for research development and to create alternative research agenda and futures for Northwestern University. The focus was trans-disciplinary research and the aim was to create new insights by gaming it. 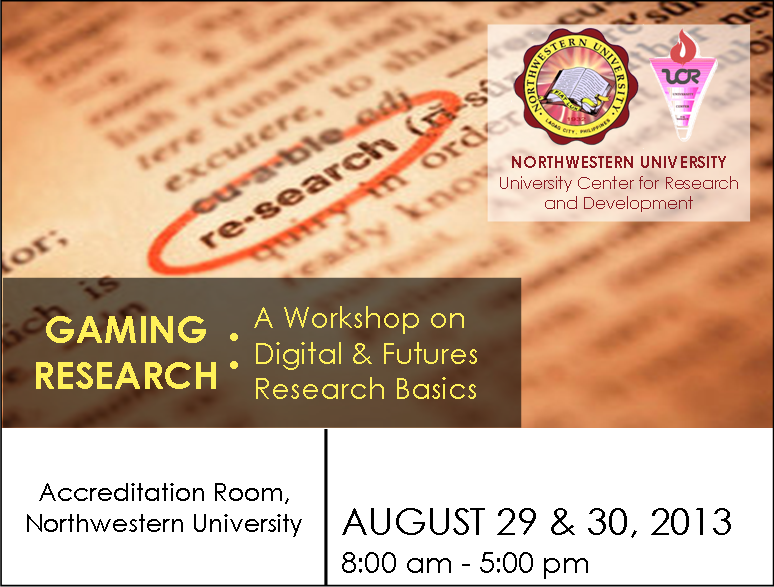 This is a part of a series of research workshops funded and supported by Northwestern University to explore new research areas and opportunities to deepen researchers knowledge, capacity and know-how. The knowability and governability of the future is a crucial issue to any institution or person who would want to learn, perceive or transform the future. While the spectrum of “the future” are heterogenous, futures studies and futures research exist to empower people and communities to know the future better and to understand their implications to the present, to imagine alternative and create preferred futures. We employed the Futures Landscape to audit who, what and where we are as researchers and as a research institution. The futures landscape has four categories of the future: the jungle (survival of the fittest, risk-making, fortress mentality); chess-set (strategy can do wonders but the future could be on a stalemate, there are losers and winners in the game of life); the mountain tops (we have seen and experienced the vista of the way forward) and the star (the vision is actually reachable, it now has a detail and it is neither near nor too far). Majority of the participants had university research in the “chess set” category. However, the preferred was the mountain top. Participants envisions to see and experience research as expanding, growing and always moving forward. This gave us a conceptual or cognitive map on how researchers perceive themselves as researchers and the institution in the context of research in the future landscape. What do we really want to know? What research themes or topics can we fund or do? What decisions or issues will be helpful to us as persons, as a community, as human beings? What factors – important and uncertain – could influence us and our decision-makers today to create the preferred research future? What are the possibilities? What are the what ifs? What are our scenarios? Which scenario do we prefer most? Afraid? Good? Bad scenarios? Scenarios are not strategies nor they are predictions of the future. They are more like assumptions of alternative futures designed to champion possible risks and opportunities about specific strategic concerns (Schwartz, Ogilvy 2004). Scenarios are like movie scripts. At a meta-level, they are a synthesis of different paths that lead to possible and plausible futures. They are a set of events or variables which helps in minimizing surprises and helps decision-makers expand thinking of diverse possibilities (Godet and Roubelat, 1996). 5. The future of academic learning. On the second day, the groups were introduced to causal layered analysis, one of several futures techniques used to inquire into the causes of phenomena – litany (the news headline, pop futures), systems (social and structural causes, systems), worldview (ideology, philosophy, epistemic) and myth/metaphor ( concerned with images, arts, the emotive dimensions of an issue). The CLA incast expanded the range and meanings of the scenarios. Different ways of knowing the futures of their preferred topics were explored. The vertical aspect of the scenarios were analyzed and a number of policy actions to create alternative and transformative research futures emerged. 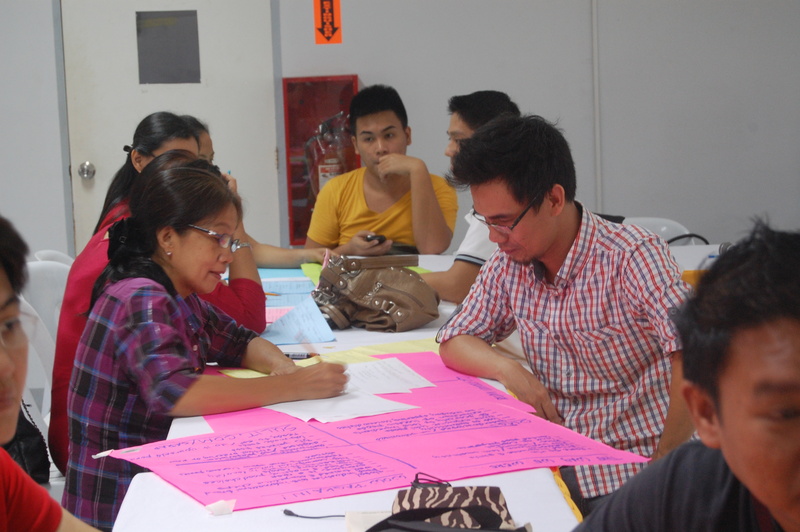 The groups particularly the food futures group and the sea vessel group were serious about pursuing the research and to write an article like building a literature review and/or conceptual paper, a case study on the future of Ilocano food and ship safety in the Philippines. 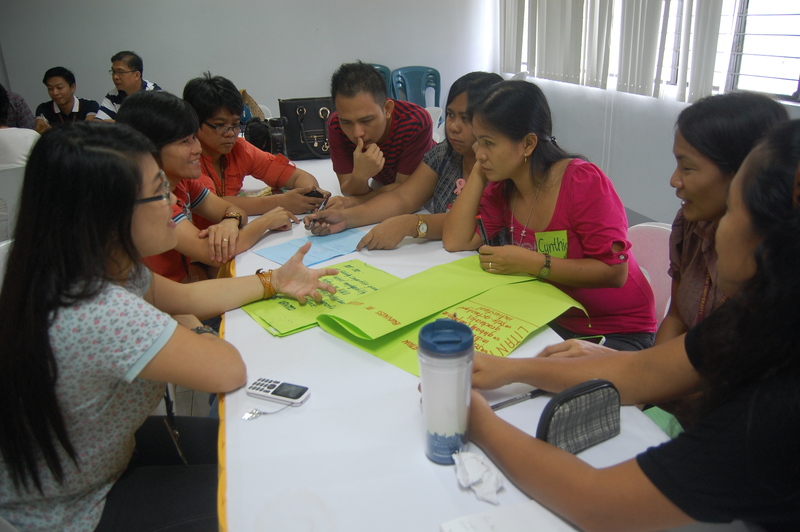 The future of the city group contemplated on the possibility collaborating with the City of Laoag in particular the City Engineers and the City Environment Office to explore Laoag City alternative and preferred futures with flooding in mind. The University Center for Research and Development will sponsor an institution-based research to explore alternative research futures for Northwestern University. Bussey, Marcus. 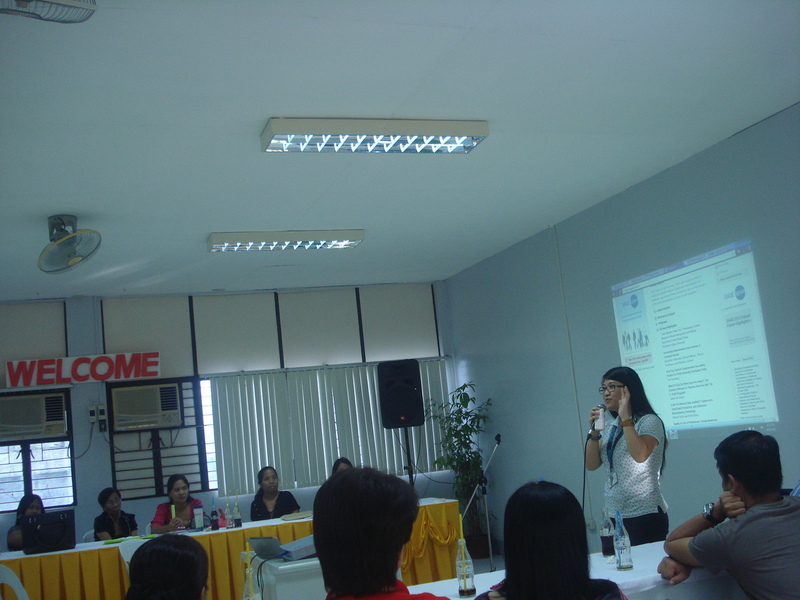 Strategic Foresight Workshop Course Presentation. De La Salle University. 2012. Cruz, Shermon. Personal notes on the two-day Gaming Research: Digital and Futures Research Basics at Northwestern University, 201 3. Inayatullah, Sohail. Casual Layered Analysis: A Reader. Tamkang University Press. Taiwan. 2004. Slaughter, Richard. The Biggest Wake Up Call in History. Foresight International. Australia. 2010. Aleriza, Hejazi.The Future of Evidence-based Futures Research. Retrieved on December 26 from http://www.wfs.org.blogs/alireza-hejazi/future-evidence-based-futures-research. 2013. Schultz, Wendy. Infinite Futures. The Schwartz / GBN Approach Maximizing Focus. Retrieved on December 26 from http://www.infinitefutures.com/tools/sbschwartz.shtml. 1996. Higher Education Institutions (HEIs) in the Philippines are expected to be the major source of research-generated knowledge. With this assumption, the government, through some of its agencies like the Department of Science and Technology (DOST) and the commission that manages all HEIs, the Commission on Higher Education, mandated the promotion of research to push the frontiers of knowledge forward and cultivate a culture of research among HEIs. Among the numerous efforts to promote an excellent research culture in the country are the creation of research center among HEIs and the formation and establishment of CHED Zonal Research Centers that directed chosen HEIs in strategic parts of the country to assist other HEIs in their zone in the conduct of research. This decentralization of research management led to the increase in the number of researches done by HEIs and toward collaborations among these institutions. With this commitment, the PUP conducted its first International Research Conference in Higher Education last October 3 and 4, 2013 at the Manila Hotel. IRCHE was attended not only by most HEIs in the country but also by universities from the USA, China, India, Thailand, Indonesia, South Korea, Japan, Libya, Ghana, Malaysia, Iraq, and Mexico. This enabled participants to not only be exposed to concerns of the country as introduced by local researches but also to be introduced to research concerns of other countries and in the ways that these institutions address these concerns. In the keynote address delivered by CHED Chairperson Dr. Patricia Licuanan, she emphasized the need for massive investments on researches by higher education institutions in addition to the long standing need to enhance research productivity. Licuanan encourages HEIs to adopt international landmarks especially for theses and dissertations that such studies must be readily publishable. She pointed that graduate programs should not offer more courses but should facilitate the conduct of more researches, thus, graduate school programs should be revised. Licuanan reiterated that researches should be published in refereed journals and scientific inventions and projects be patented. On the same note, Philippine Association of State Universities and Colleges President Dr. Ricardo Rotoras, as read by Dr. Herbert Glenn Reyes, stressed the need to tackle the serious issue between quality and quantity. There are quality outputs but very few are published in indexed journals because current research focuses are not updated in addition to using “jurassic” methods. Most of researches done by faculties are “repetitive and stereotyped” leading to similar researches by students. In addition, most private institutions’ presidents focus too much on the return investment for researches. He urges the government to create national research policies because most policies are only localized among HEIs. He, then, proposes that there should be massive and intensive faculty development programs among HEIs with research-based undergraduate curricula and emphasis on collaboration and publication. The trend among graduate schools nowadays is that they offer more advanced versions of courses previously learned in the undergraduate programs. Research is only done as final requirement in some if not most of these graduate programs and as a requirement for graduation. However, the orientation embodied by not only the institution but also its student is not towards the creation of knowledge but towards refreshing previously learned concepts with added developments in these only. This might be one of the reasons why there is a “unit-ing” culture among graduate schools. This is the trend wherein most individuals specifically faculty members only choose to pursue further studies because of the units. They believe that their earned units will help them with promotion. Graduate school students, most of the time, are tired of studying. They have been studying to get an undergraduate degree and are continually studying to enhance teaching. They find further studies again in the form of a graduate degree are already too much. If only that they are no longer required to sit on lectures and reports but are given enough time to sit on and conduct researches at their own time, I believe that graduate school programs will be fun and fulfilling as it should be. Students could be asked to just do research and be published. Additional courses are not needed, research is. 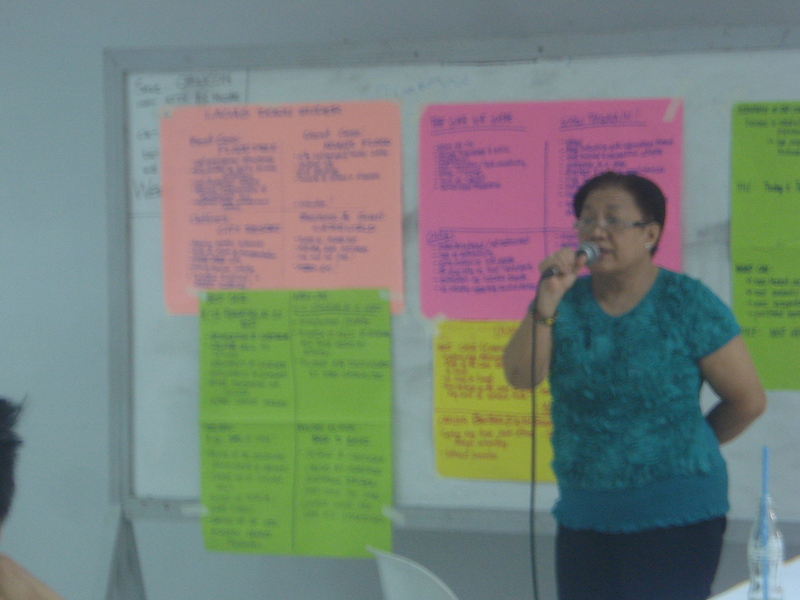 In performing the research function of HEIs, Dr. Ester Ogena, president of Philippine Normal University and former director of the Department of Science and Technology Science Education Institute, proposed that from the individualistic, shelf-driven, and worthy of thesis and dissertation referencing kind in the academe, researches should evolve to become collaborative and multidisciplinary, to contribute new models and methodologies, are worthy of publication, to contribute to the discipline, and are geared towards utilization such as in policy and product development. Collaboration and publication in the Ilocos context is still not widely recognized as the way to be but is an emerging trend. In Northwestern University alone, faculty members of food sciences are collaborating with those of the social sciences. 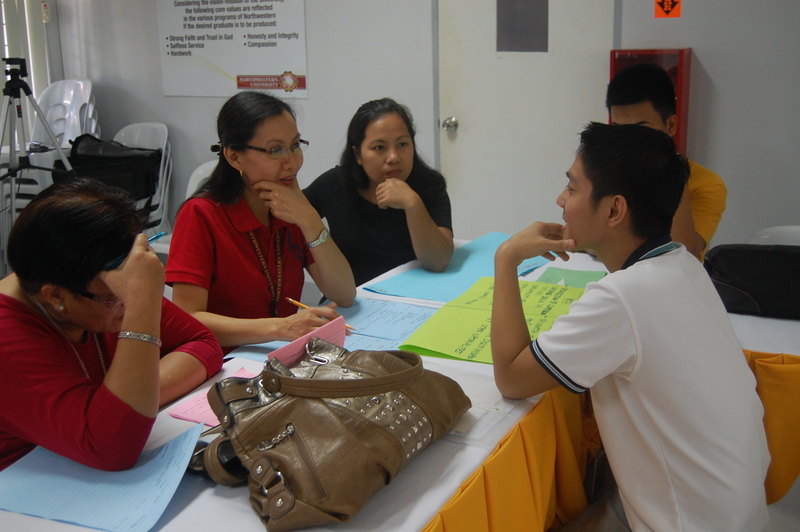 The social sciences are collaborating with the humanities department. Administrative researchers see themselves collaborating with the academic. These might be small researches now, but small researches will become big researches as the culture grows. Publication has been partially addressed by the local journals of HEIs. However, these have limited reach and access for a limited audience. To be globally excellent, research centers such as the NWU Center for Research and Development now promote and encourage their researchers to aim for publication in refereed and indexed journals. Instead of publishing researches on the graduate and research journal of NWU, UCRD continues to help researchers look for appropriate journals to be published in. It is a fairly young endeavor in NWU but is anticipated to be taken part on by the whole university. As cases of multidisciplinary research in action, Mr. Warren Nevad of the University of Tennessee, municipal management consultant, introduced their efforts in Tennessee on promoting renewable energy. He discussed how they worked and are still working with “everyone on the floor” as they bridge academic research and community outreach. Dr. Matthew Éichler of Texas University stated that researchers deal with “messy problems” as challenge of multidisciplinary research in the age of globalization primarily because of social messes. One problem leads to another. In dealing with such problems, researchers should remember that “the thinking that left us with these problems will not help us in solving these problems.” Systems thinking is only one of the many ways of addressing some, if not most, of these problems. As a case in point, another way of addressing global challenges is futures thinking. 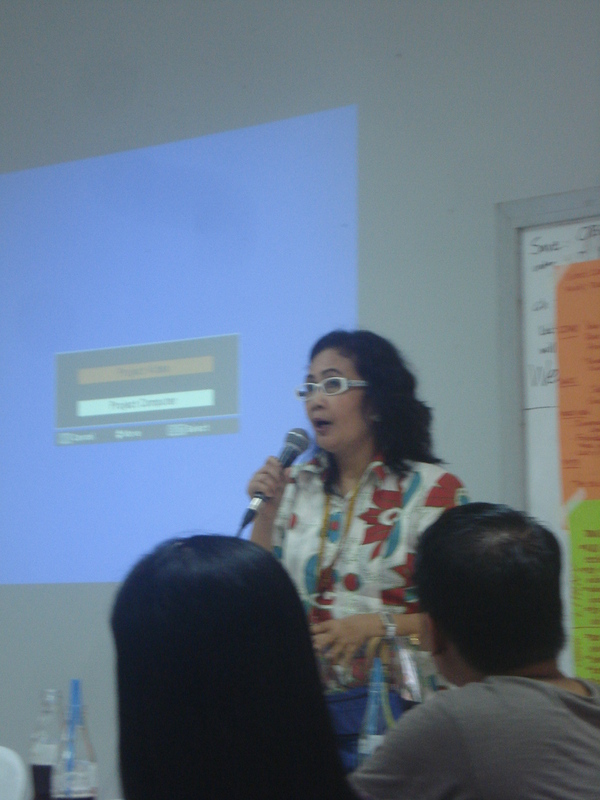 In my research Scenarios on the Futures of the Ilocano Language Usage Using Jim Dator’s Alternative Futures Archetypes done in collaboration with social scientist and futurist Prof. Shermon Cruz, I used the futures research method scenarios. With the Ilocano language at the point wherein it is extensively studied not only within homes and communities but also within a multitude of institutions, the question on what will it be like in the future and its possible, probable and preferred futures is an emerging issue. Its futures are occasionally given thought and are addressed informally by some Ilocano scholars and writers in the North of the Philippines. My paper aimed to explore the futures of the Ilocano language usage in the twenty first century using Jim Dator’s scenario archetype as a research method. It explored the future of the language in the year 2040 in a continued economic growth, collapse, conserver, and transformation scenarios. It does not aim to predict the future but only to provide the possibilities of what might happen to assist major drivers and decision-makers in making more informed decisions. It’s only an initial offering right now because it is confined with documentary analysis. 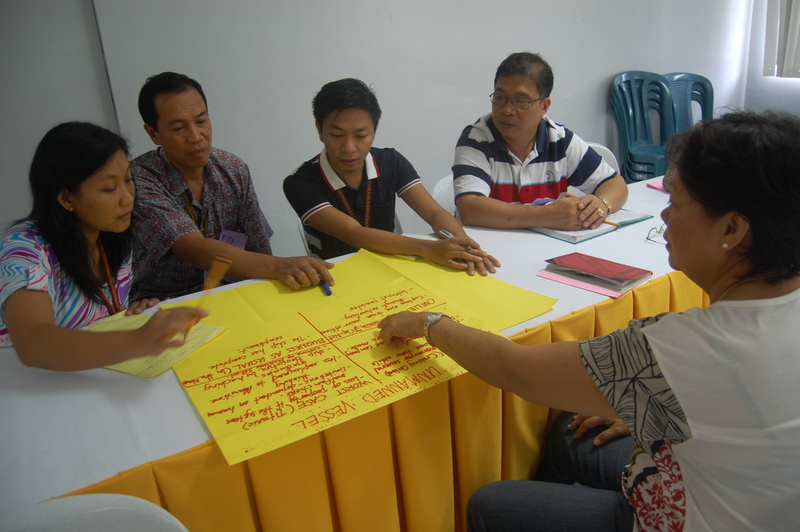 However, it is aimed to be furthered to include more stakeholders to deepen the exploration and identify the scenario logics to construct alternative Ilocano language usage futures. In pursuing global excellence in an era of research proliferation, Dr. Adam Kis of the Adventist International Institute of Advanced Studies advised researchers to aim high or “shoot for the stars.” Researchers should involve themselves in researches that meet global standards, researches that get recognized, researches that are practical, and researches that meet personal standards. If a researcher wants to be involved in the global discourse, he must be able to produce researches that are interdisciplinary in nature, are eligible for accreditation and in which other people in other countries might be interested in. Degree mill researches that only meet local standards are not viewed to have the capacity to participate in global discourses. Chairman of social entrepreneurship at Manipal University, India Dr. Harisha Joshi, on the other hand, added that research must be done out of passion. With demonstrations of the Manipal University experience, he encouraged researchers to understand social problems first instead of library problems. Researchers must make it a point that they are not doing research for others but should be for themselves. Research presentations were on different disciplines and parallel sessions are multidisciplinary. Some of these are on gender, youth and migration; humanities and humanity; conflict, communication and peace; arts and culture; language and journalism; communication and social media; and history, community and society. I enjoyed most of the presentations but a little disappointed that I wasn’t able to attend to the session on language and journalism because it was conducted at the same time as my session. In addition, most sessions are supposed to accommodate seven speakers with such limited time that some open forums to supposedly enable a discussion of the researches were forwent. 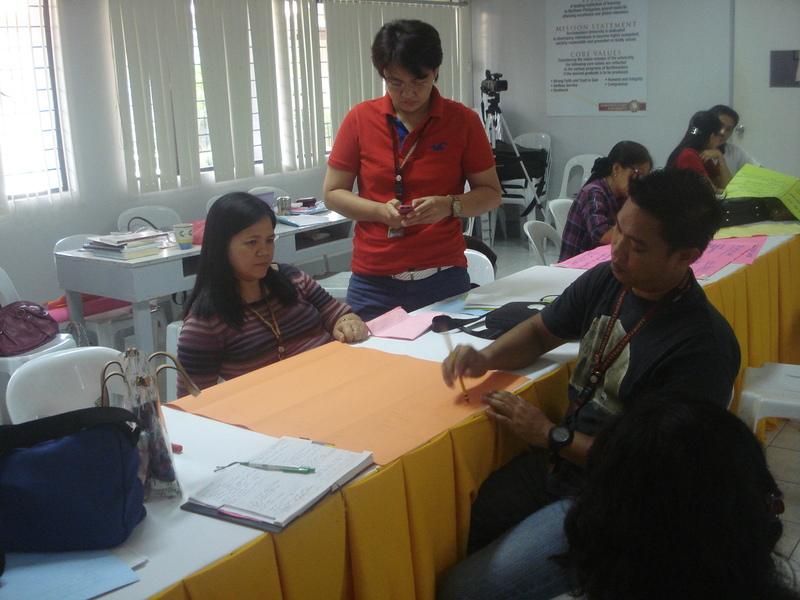 There were researches on instructional materials and strategies and some of these are on text analysis, blended learning, cooperative learning, and tutorial strategies. However, some of these researches are still confined with old research techniques and methods such as using means and frequencies in discussing blended learning. For most researches on education that I saw, they failed to get my attention because the results of these studies were not communicated well to the audience because of the use of too much numbers. Researchers fail to see that these numbers don’t mean anything unless interpreted and discussed in context. It is okay to use numbers in research but depending on the objectives of the research, these numbers must be interpreted in such a way that they capture the essence of the study itself. Nobody really cares about weighted means and frequencies if they don’t understand what the study actually found. Multidisciplinary research means having researchers from different disciplines collaboratively study a problem to enable the exploration of the problem from multiple vantage points to diversify the discourse and address of the problem. Most of the researches presented are not multidisciplinary in nature yet; the sessions are. However, it was hoped that after the conference and after cards were exchanged; research collaborations for multidisciplinary researches will become the trend. If this indeed becomes the trend, language teachers see themselves to not only be involved in local language discourses but will participate in global language research arenas. The trend will be research-based curriculum development and more teachers, if the review and overhaul of graduate programs happen, will see themselves as more fulfilled not only in instruction but in pushing the frontiers of knowledge, which they would do not out of requirement but out of passion. Teachers will see themselves as not using and reusing teaching methodologies and strategies borrowed from other countries but will be innovative and creative enough to research and formulate their own methods and strategies. The goal will be to be cited, not to cite. With support from the government and a sense of genuine cooperation among educational institutions and educators, these might happen. If it does, I would be very happy. 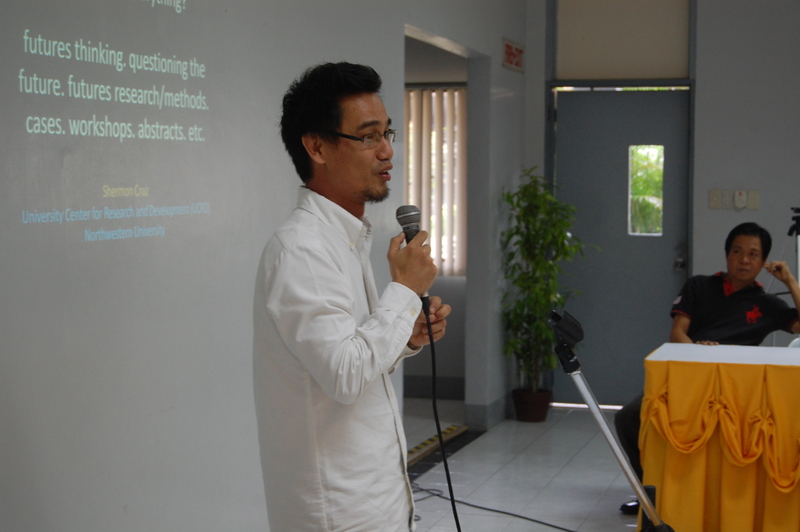 Rome Pacis is an editorial assistant at the University Center for Research and Development; lecturer at the College of Arts and Sciences, Northwestern University and researcher at the Center for Engaged Foresight. Polytechnic University of the Philippines. 2013. IRCHE Book of abstracts. 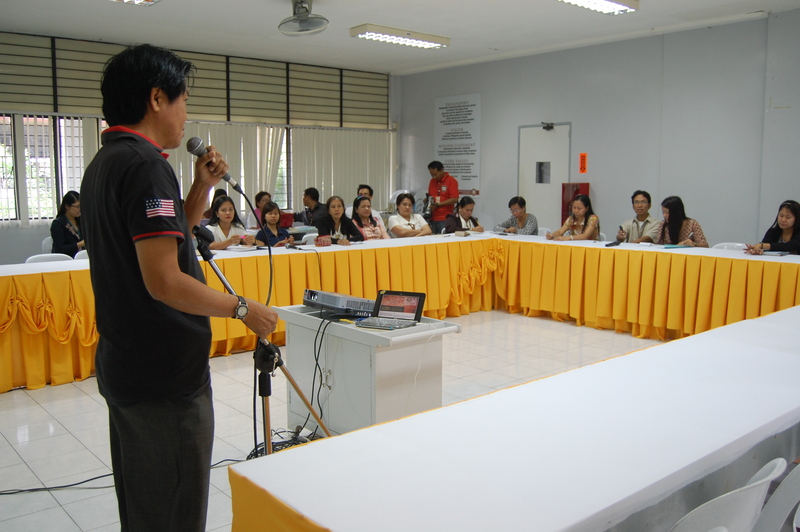 Office of the Vice President for Research, Extension, Planning and Development: Polytechnic University of the Philippines.